Do you think that an interested “adult city resident” should be able to contact another “adult city resident” who sits on a city government oversight committee advisory to the Common Council? Do you think a Dane County citizen has the right to know who is on a county government office’s “working group” tasked with making policy recommendations for adoption by the larger council? Are you suspicious when someone has special access to governmental decision making (and its purse) but does not have to provide basic contact or naming information in return for that access? If you answered “yes” to any of these questions, then welcome to the idea of good governance. Welcome too to the reality that our current government is less transparent. According to an article by the Simpson Street Free Press reprinted in the Madison Commons: "In a unanimous 2017 decision, the Wisconsin Supreme Court held that committees created by local governmental bodies in Wisconsin are themselves governmental bodies subject to the state's open meetings law." The article then went on to describe how the city of Madison appeared to be violating that law regarding an “out of school” program for youth funded by the City and the Madison Metropolitan School District. It should be no surprise then that a lack of basic transparency and good governance extends to the transit world as well. First, consider city government. The City of Madison has two transportation oversight committees, a Transportation Commission that generally meets twice a month, and a Transportation Policy and Planning Board that meets about once a month. The task of those committees is to advise the Common Council on transportation-related policies or actions. Some of those policies or actions have financial relevance. To its credit, the city lists committee information on its website’s Legislative Information Center, including the names of committee members, the committee’s sponsored legislation, committee meeting agendas, committee Minutes, and, when available, a link to the meeting’s live stream video recording of a City Channel episode. The city releases this information in a timely fashion. In addition to member names on its website, it lists the role or position of that person, the beginning and end of his/her term and, for many, an email address and/or website. It has done this for years while the county government only adopted a more limited procedure fairly recently. The city is backsliding, perhaps at the behest of its highest paid employee, the City Attorney. Newer committee members are not being required to list contact information, whether that information is in the form of an email address, a P.O. Box, or something else. When asked for a way to communicate with someone on a committee, City staff are happy to transmit a communication but will not divulge the sometimes now-confidential information of how to contact the person directly. When questioned about this, the Deputy Mayor in charge of transportation Anne Monks replied that the City Attorney said there is no legal requirement for that. What ethic is being manifested by such secrecy coming from an office claiming good governance? Does there need to be a city ordinance requiring that anyone serving on an advisory committee provide the public a way to be contacted? Writing legal documents and taking Council time to pass an ordinance should not be necessary but certainly would help keep high-salaried attorneys employed. Or should the onus be on not being transparent while transparency would be an assumed attribute of good government? A disturbing level of secrecy in governmental oversight is not just limited to the City of Madison of course. Consider the example of Dane County’s fairly new Office of Energy and Climate Change. How is this Office related to public transit? The current transportation system is a major source of greenhouse gas air pollution in the county, and one of the Office’s subcommittees advises on transportation and land use issues. The Office was created in 2017 as a division within the County Executive’s Office to advise on fulfilling the Dane County Climate Action Plan. 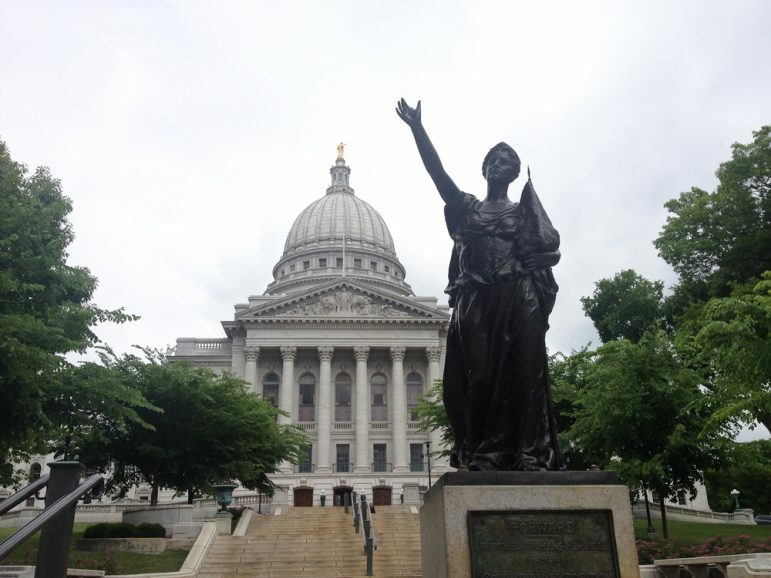 Its director is Keith Reopelle, formerly Senior Policy Director at Clean Wisconsin. No other staff are listed on its website. Furthermore, the website tells us that the office has a council that will “extend the work of county government.” In addition, the council “will include representatives of local governments, business, utilities, and environmental advocates.” But it does not then tell us who those council members are, why they are involved, how to contact them or any relevant information what their expertise. As a private body, Clean Wisconsin is not expected to disclose such information, but a governmental body IS. As a governmental unit, Reopelle's Office of Energy and Climate Change does not pass the smell test. In “meeting notes” for the July 2017 through February 2018 meetings, the Council members in attendance at the meeting are listed. But we do not know who else attended, nor do we know the council members who did not attend. Meeting notes are not official minutes. Potentially even more disconcerting is the fact that the council has working groups that make recommendations. When asked, we are told that the names of working group members cannot be divulged as doing so could discourage participation. To their credit, a number of County Board of Supervisors including the chair has developed a program called Engage Dane designed to encourage citizen participation in their county government. Moreover, there is an amendment to the county’s 2019 operating budget that would add the money needed to record two standing committee meetings every month. Good starts.